Our photographic research is based on a natural style, with no ostentation but seeking the simplicity to go straight to the essence, showing only the pure and delicate, wonderful fragility of the soul, expressed in a Soft and Romantic way. We want to photograph spontaneous and authentic moments by using natural light as the only instrument to create timeless images. We want our pictures to have that sense of timeless and mystery driven by a feeling. Storytelling is the most important part for us. Giving structure and tone to the photographic story is important as well as how the images are stylistically captured. We want our stories to be cinematic and focus on your feelings. 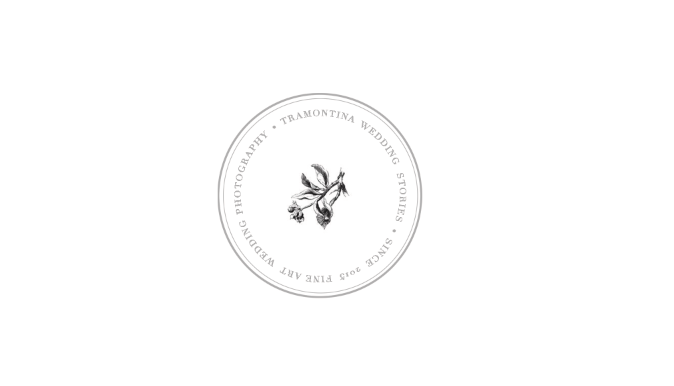 We are Alice and Lisa, two sisters and founders of Tramontina Wedding Stories since 2015. Italy is our home but our nomad soul lead us to the most adventurous destinations in the world. Our approach is driven by our passion to capture moments, but also we want to get to know you as friends and give you an amazing experience. By the years we develop a style which is perfect to tell your story thought the images and create a bright and warm feeling, we love photos that are raw and natural and tell a story. We think everybody has a special story to be told, that’s why our storytelling is a mix of documentary work and composed portraits. This allow us to record those little glances that reflects the personality of a couple as well as the iconic moments and funny once. Photography is our gasoline, the reason why we jump out of the bad everyday. You can create connections with everything trough a picture. Human beings, nature, animals, objects, empty rooms... You can give a value to everything that is important for you in that moment. Whatever your go you can met a lot of people and share amazing and unique moments with them, in a very short time! The connection is powerful, it's incredible ! Our photographs are full of gracefulness, always with attention of details. We want to give back to our costumers all that they give to us with their essence, creating heirloom and timeless memories for them. Photography is at the center of our life. How do you connect with clients and how is your approach ? We have an authentic approach always maintaining simplicity, fluidity and kindness. We bring a lot of importance to the human connection giving value to a genuine and honest relationship. Connection happens naturally as any kind of relation and it's a crucial part of of our work. We have to get along and create trust one another in a very short time. We give ourself 100% in each of your stories. We develop a refined style perfect to capture soft romantic and delicate portraits and wedding storytelling in every kind of situation and location. We have a progressive approach on our photography, as well as individuals. We get inspiration from so many different things, the natural world and the vastly of the universe is really interesting and charming as well as the people. When we arrive in a new place everything is mesmerize our eyes: the light, the season, tiny dusty corners, rooms with only one window. We tray to get the feeling of the place where we are, the feeling between two people and individuals too. This allow us to create a story. Your story. Our goal is to give you back the perfect reflection of your relation. We want to be better human beings and better sensitive photographers feeling free o develop our unique vision. How is the delivery of the photos? After sorting and post-producing photos, we deliver the photos in high definition without signature via a private gallery online where you can download them. We guarantee the delivery of the pictures in 5 months. No raw photos are delivered. All photos used on the social networks must mention the credit of author. Do you travel for your clients? We absolutly travel, wherever you want to take us. In these years in photography we have been in so many places to shoot weddings: Mozambique, Morocco, Sweden, Spain, Portugal. We love to travel and discover new places, cultures and create connections. Do you provide wedding book? We think the best way in which photography express itself is when is printed. We encourage all our costumers to print their pictures. Imagine in the years of our life, go back home after a busy day, sit in the floor with a glass of wine and you best half by your side, flipping trough the pages of your wedding book, reliving those moments again. What a beautiful life vision is. It's easy forget something when is not tangible. We think that wedding books will exist forever. It was really easy and fun to shoot with Alice, we hardly noticed her and were in our own bubble of happiness, she took care of her self and was very professional. The photos turned out really great and we felt spontaneous and natural ! ALICE! Thank you so much for getting the pictures back to us so quickly. They are all so beautiful. It was so emotional to look through them. I can’t express to you the appreciation I have for you being there to capture that moment. You will truly be a special part of our story for the rest of our lives. Alice e Lisa, con le loro macchine fotografiche, hanno "fissato" indelebilmente le emozioni del nostro matrimonio. Più riguardo le loro foto e più mi si riempie il cuore di felicità. Il loro stile è unico e internazionale. Per niente scontato. Inoltre hanno saputo cogliere tutti i dettagli degli allestimenti, delle persone, dei luoghi... Hanno una profonda sensibilità. Bravissime!